More Longacres pics: More Memory Lane. 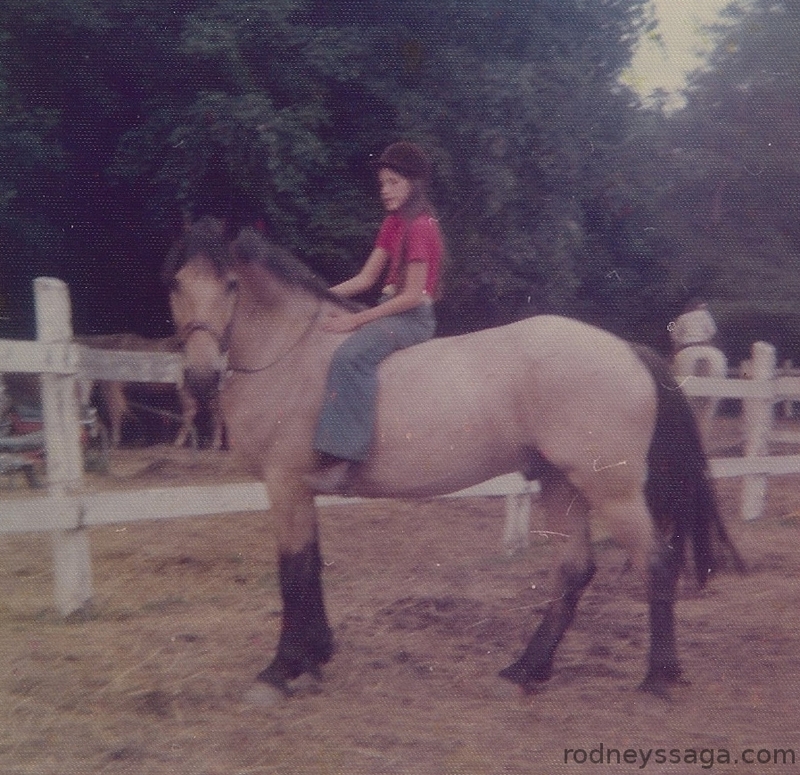 I looked down at my horse even then. You had good taste though … he’s a buckskin! Memory says he was pinkish. Is that still buckskin? Hard to tell because pic is faded, but looks like he’s either buckskin or dark red roan.